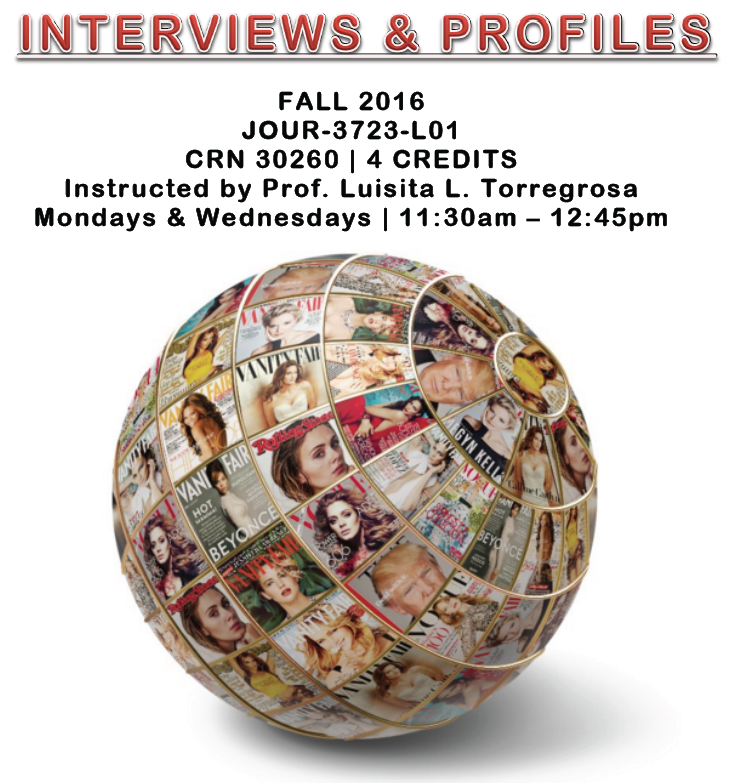 Claudia Rivera April 26, 2016 May 3, 2016 No Comments on Register for Interviews & Profiles Course for Fall 2016 @ Lincoln Center! The art of the interview is not easy to master. But at the heart of all great journalism you find the crucial interviews that bring to life and reveal a human being or a human condition. One of the great challenges of all journalists, whether digital, print, cable, or broadcast, is the interview. This course will explore the many methods and styles of interview. Personality profiles of politicians, celebrities and ordinary people emerge from dozens of interviews. The best profiles present a full picture of the a human being, warts and all. This course will help students develop a personal interview style and will examine various interview strategies. We will provide critiques of profiles and interviews and help students find their own voice.